Central Board of Secondary Education (CBSE) has major plans to bring ‘error free evaluation’ for class 10 and 12 board examination. 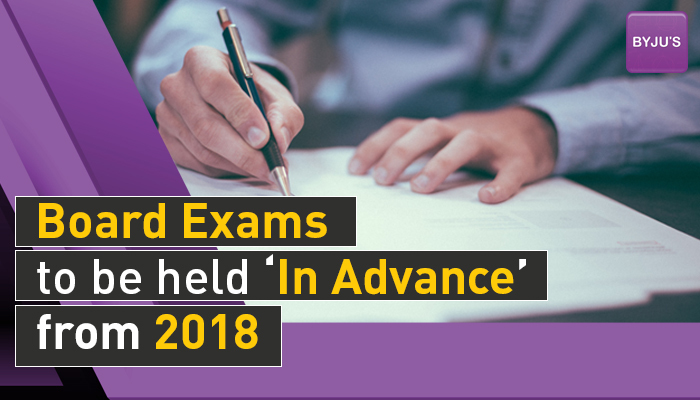 The Board exams for these two classes will be conducted a month in advance in the coming year 2018. This means that the exams will be held mid February instead of March. The main reason to prepone the exams is to have ‘error free evaluation’, and so the the results can be declared early for students to apply for the undergraduate admission in various universities. The revision in the scheme is set to change the process of examination too. Earlier, the exams that started in the Month of March would end in third week of April. But now, CBSE plans to wind up the examination in one month’s time (within 45 days). This would ideally give evaluators ample time to evaluate the answer sheets. The advancement of the commencement of the board exams for classes 10 and 12 is on account of the discrepancies being reported in the marks actually scored by class 12 students and the marks displayed in the mark sheets circulated by the board. 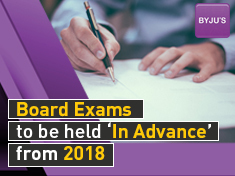 The advancement of board exam dates is in support to the decision of scrapping the re-evaluation system taken by the board earlier. The board believes that this new scheme will help overcome faulty evaluations. “If we ensure the evaluations themselves are error-free, the question of revaluation doesn’t arise at all” , Mr. Chaturvedi added. Therefore, the advancement of board exams will not only assure “error free evaluation”, but will also advance the declaration of the results helping students select undergraduate programs more wisely and apply accordingly. Really nice and helpful information for students. Is it also applicable to Gujarat board? State Board hopefully cannot follow this pattern because it completes the exam in just a week and half. It will be conducted in March as per the tentative date given.